A well-made baby carrier is one of our top must have gear picks for new parents. If said carrier is eco-friendly and hyper -stylish, well, all the better – lucky for you, a new line of eco-friendly baby carriers from Petunia Pickle Bottom has got you covered on both fronts. The Sightseer carrier is available in five amazingly sweet vintage-inspired certified organic cotton prints while the Tour Guide, crafted from a recycled polyester shell (PET), and a recycled nylon liner, will satisfy your reuse sensibility. Lightweight and adjustable for both mom and dad. Each style works for infants between 8 and 22 lbs. Color-coordinating custom hardware, time and fittings are seamlessly integrated. Simple easy-to-use buckle system allows you to snap baby into place facing inward or out. Secure infant leg button for babies 8-11 pounds. Machine washable on cold. Save energy! 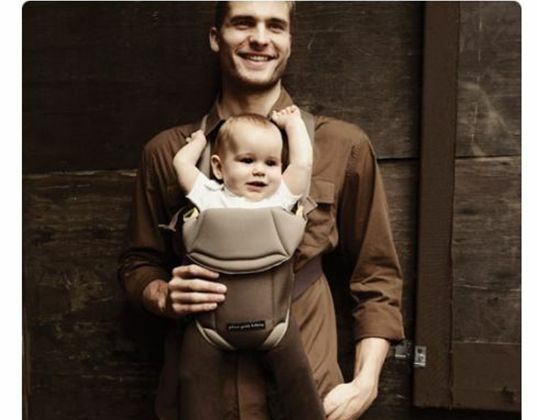 A well-made baby carrier is one of our top must have gear picks for new parents. If said carrier is eco-friendly and hyper -stylish, well, all the better - lucky for you, a new line of eco-friendly baby carriers from Petunia Pickle Bottom has got you covered on both fronts. The Sightseer carrier is available in five amazingly sweet vintage-inspired certified organic cotton prints while the Tour Guide, crafted from a recycled polyester shell (PET), and a recycled nylon liner, will satisfy your reuse sensibility.